Based in Chicago, Mike Tutaj's designs have been seen and heard on the stages of The Goodman, Steppenwolf, The Chicago Symphony Orchestra, Chicago Shakespeare Theatre, The Second City, Victory Gardens, Lookingglass, Writers' Theatre, The Court Theatre, TimeLine, American Theater Company, Paramount Theatre, The Hypocrites, and many more. Off-Broadway credits include MCC Theater, p73, EnGarde Arts, and The York Theatre. Regional credits include Indiana Repertory Theatre, The Alliance Theatre, Philadelphia Theatre Company, South Coast Rep, Center Stage, Syracuse Stage, Virginia Stage, Children's Theatre Company (Minneapolis), City Theatre Company (Pittsburgh), and Theatre Squared. 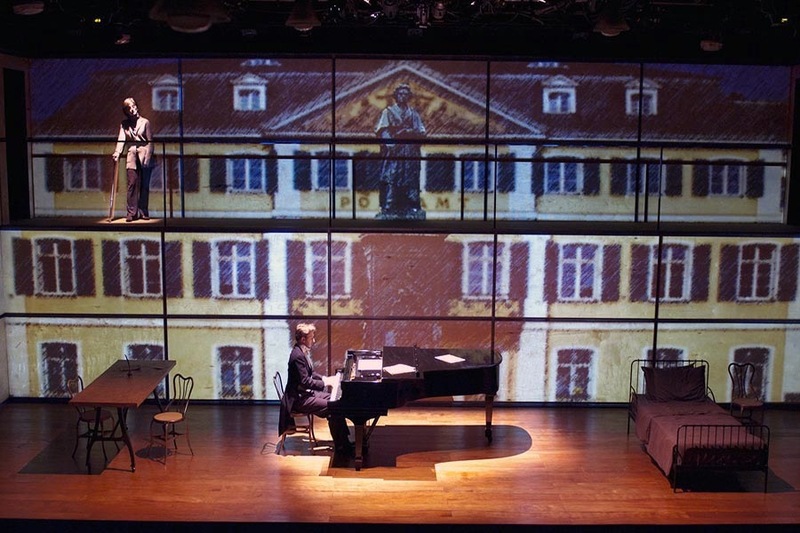 Mike has taught Projection Design in the Theatre Department of Columbia College Chicago. He is an artistic associate with TimeLine Theatre, and a member of United Scenic Artists local 829. "Mike Tutaj demonstrated the ongoing likelihood that if you see excellent video on a Chicago stage, Tutaj was behind it." "...truly a peerless master at the terribly tricky combination of video and intimate live action." "[The play] is anchored by a silent third character, the woods themselves, rendered beautifully in projection by Mike Tutaj." "Sound Designer Mike Tutaj creates the production's most devastating visceral moment with a building wall of noise in the darkness that places the audience directly into the horrifying chaos of the blazing theater."